IOSPL was one of the first dedicated oncology provider to bring advanced radiation technologies such as Rapid Arc Therapy (RAT) and High definition multi-leaf collimator (HDMLC) based Stereotactic Radiosurgery (SRS) to the patients in India. We have extensive experience in treating all cancer types—in both adults and children—based on over 10 years at the forefront of Radiation Oncology treatment and research. Today, our Radiation Oncology department continues to bring you the very best in comprehensive radiation services. From image-guided intensity modulated radiation therapy (IGRT with-IMRT) to frameless stereotactic radiosurgery, our elite team of physicians, physicists, nurses and radiation therapists continues to advance the state of radiation technology, while providing the utmost in care to you. External beam radiation treatments are delivered by a complex machine called Linear Accelerator. A modern linear accelerator produces pinpoint high energy radiation. In many cases, the intensity of the radiation is varied or “modulated” to produce radiation dose distributions that closely resemble the shape of the target tumor. Thus, normal tissue is maximally spared (Intensity Modulated Radiation Therapy – IMRT). Before your daily treatment starts, lasers are used to match the tattoos on your skin; then, images taken with the linear accelerator digital imager will be collected real time to check for proper positioning (Image Guided Radiation Therapy – IGRT). Then the linear accelerator starts the radiation beam. The beam can be “strobed” on and off depending upon breathing and other natural motions (Target Motion Management using Respiratory Gating) if you would benefit from it. Intensity Modulated Radiation Therapy (IMRT) produces a beam that precisely sculpts highly focused radiation around it to protect surrounding healthy tissue from collateral damage. 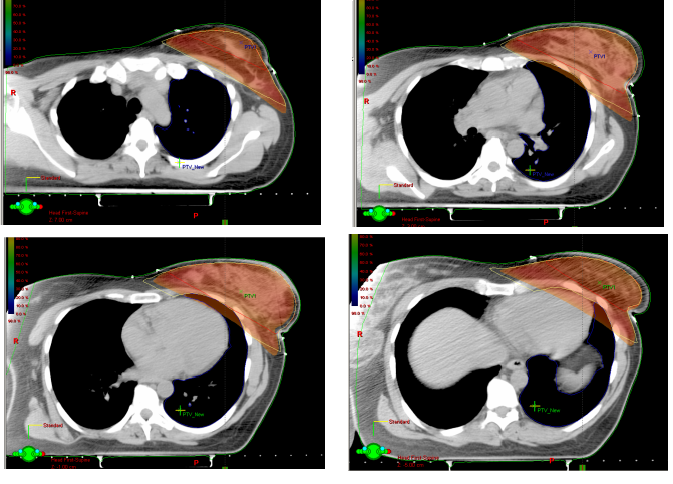 Image Guided Radiation Therapy (IGRT) allows the physicians to see and analyze your tumor before treatment for precise delivery of radiation dose daily. These advancements in radiation technology have led to better tumor control, fewer side effects and patients can return to normal faster than with traditional radiation therapy. Rapid Arc™ is a new image-guided approach to radiation therapy that emits thousands of precisely focused beams that follow the exact contours of a cancerous tumor. The new technology delivers radiation in a single rotation around the patient, modulating the beams at every angle. The result is a precisely sculpted, three-dimensional radiation dose that covers the entire tumor while sparing healthy tissue. Approved for treatment of prostate, head and neck, lung, spine and other cancers, Rapid Arc™ represents a major turning point in cancer care. A single radiation treatment for prostate cancer which used to take from 20 to 30 minutes. has now been cut in less than half with Rapid Arc™. 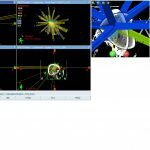 Frameless Stereotactic Radiotherapy (FSRT) is a minimally invasive computer-aided procedure—used to treat patients with brain cancer—which delivers a highly concentrated dose of radiation with millimeter precision. By selectively targeting a precise area, there is a minimal effect on the surrounding areas of the brain. These treatments are generally completed in 1-2 weeks. 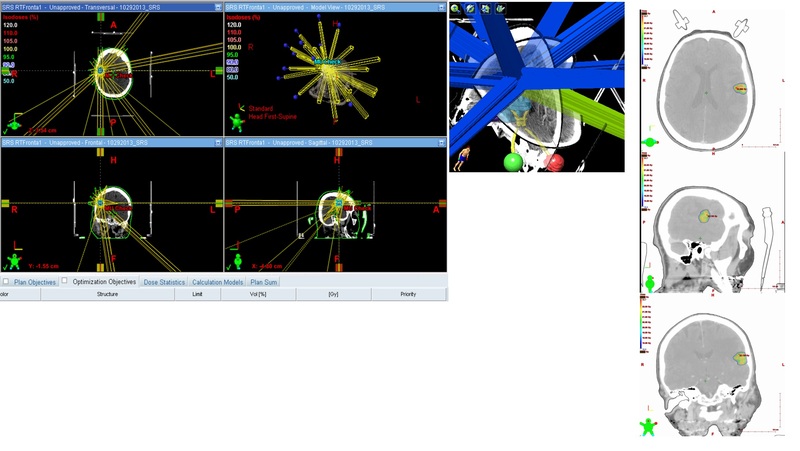 Framed Stereotactic RadioSurgery is a similar technique that we carry out in cooperation with the department of neurosurgery. In this case, a head frame is attached to the skull under local anesthesia to ensure sub-millimeter precision and treatments are delivered in a single session. Your tumor (especially if located in the lung or abdomen) can move during radiation, even if you are laying still. When this happens, your tumor may not get the right amount of radiation. In addition, nearby nerves, muscles and organs that are healthy may receive unnecessary and unwanted radiation. 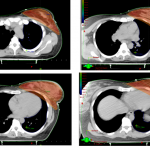 Conventional Computed Tomography (CT) uses x-rays to produce a 3D image of you. Movies are produced by showing a series of still images continuously so we see motion. In a similar fashion, our specially designed CT can produce a movie loop based on your breathing pattern. Since CTs are 3D, if we add time as a 4th dimension, we have a “4D CT” or a 3D movie loop showing the motion of your internal organs as you breathe. We can use this to help us treat you more effectively. By tracking your breathing patterns, this system applies the radiation beam only when the tumor falls within the planned treatment field. You breathe naturally and remain comfortable throughout the entire procedure. 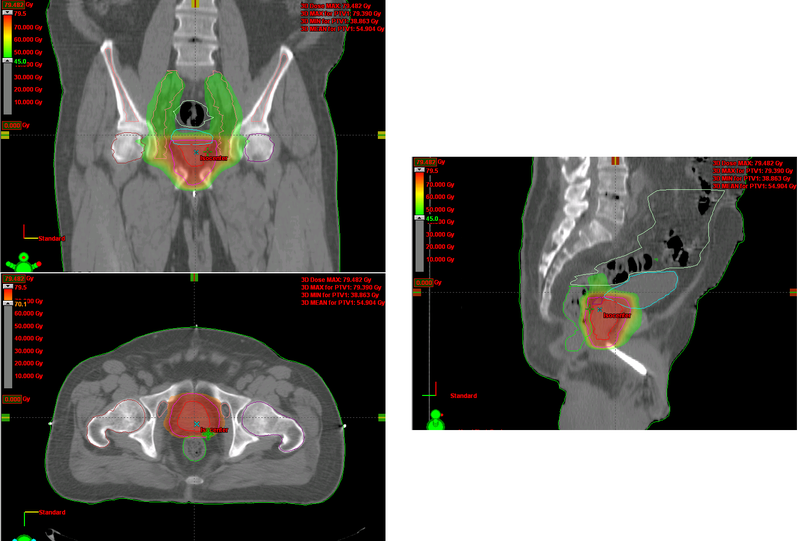 Brachytherapy—also known as radioactive seed implantation—is a very promising treatment for cervix cancer, uterine cancer, head neck cancer and early stages of prostate cancer. Using on-site computers to create individualized treatment plans, our physicians place radioactive sources in or near the tumor. This advanced procedure delivers a high dose of radiation directly to the tumor while reducing exposure to surrounding tissue. The procedure is performed on an day care basis and allows you to recover quickly. 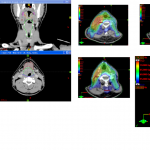 With biological image guided treatment planning, our physicians can combine the latest in imaging technology, such as Positron Emission Tomography (PET), Magnetic Resonance Imaging (MRI) with computer data. 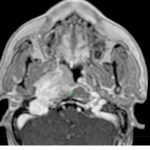 The result is a precise anatomical definition and a more complete biological understanding of your tumor(s), which greatly enhances treatment planning and targeted delivery of radiation dose. We are committed to furthering our society’s understanding of and ability to treat, and even prevent, life threatening disease such as cancer.